Caution! Beware of "pipe-and-drape" imitators. Some firms promise a photobooth but instead provide flimsy drapes hanging from plastic pipes, a poor quality printer, and zero atmosphere. Freeze Frame Photobooths are authentic experiences combining an "old school" booth with "new school" digital photo technology. 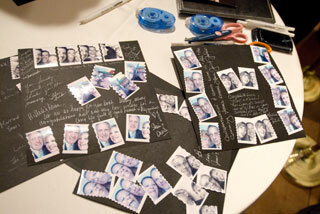 Our customers receive a one-of-a-kind, custom-made photo guestbook. Guests have a blast enjoying the retro Photobooth! In fact, it will be one of the most memorable, fun elements of your event. Just step in, close the curtain, and push the button to create four creative photos which we will use in the custom guestbook. 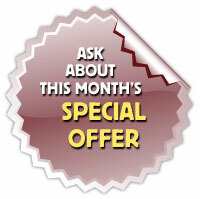 Contact us today for your custom quote and date availability. The Photobooth will be the talk of the night. Your Freeze Frame Guestbook will last a lifetime.